Happy Thanksgiving! I can think of no topic more appropriate for this day than a good ol’ conversation about death and dying. Just kidding–I’m not trying to be metaphorical. It’s not a holiday up here in Canada and when I was planning this blogathon, I completely forgot to develop a post about US Thanksgiving. Generally you folks don’t mind death talk, though, so I’m going to go with it… Nothing inspires gratitude more than the memory of death, #amiright? As I wrote yesterday, Christmas is not just about yuletide logs and soft-edged manger scenes. It’s also a time to remember the Cross, and all it means for our world. If we are ever to encounter the full magnitude of Christ’s saving work, though, we must also bear witness to the reality of death–something I’ve been doing a lot with on Time Eternal this year. 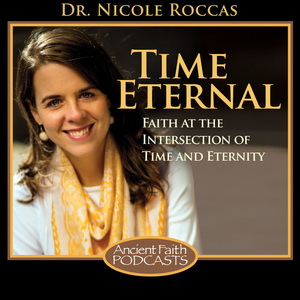 The question, “What is death?” has been asked in a myriad of ways in every time and culture. It is unavoidable. Although many answers exist, a general misunderstanding exists among society and even in the Orthodox Christian community as to how to answer it. More tragic than a mere misunderstanding, too, is the fact that in today’s society many people live in fear of death and respond to that fear by denying that death is even there, denying that it is a problem. Death is in the center of religion and of culture, and one’s attitude toward death determines one’s attitude toward life. Any denial of death only increases the neurosis (immortality) as does its acceptance (asceticism, denial of the flesh). Only victory over death is the answer, and it presupposes transcendence of both denial and acceptance: “death consumed by victory.” The question is “What is this victory?” Quite often the answer is forgotten. Therefore one is helpless in dealing with death. Death reveals — must reveal the meaning not of death, but of life. Life must not be a preparation for death, but victory over death, so that, in Christ, death becomes the triumph of life. Instead of being created by God, death is a result of the free choice of man to turn away from God and turn instead to the material world around him. To use St. Paul’s terminology, “The wages of sin is death” (Romans 6:23) and “Therefore as sin came into the world through one man and death through sin, and so death spread to all men because all men sinned” (Romans 5:12). The full weight and tragedy of this death was not something that was realized immediately, but would only come with the person of Jesus Christ. For instance, after enduring all of the afflictions of the devil, the death of Job is spoken of in very happy terms. “And after this Job lived a hundred and forty years, and saw his sons, and his sons’ sons, four generations. And Job died, an old man, and full of days” (Job 42:16-17). Job died “full of days,” with the imagery of a life that was complete and lived to its fullest. There is no sense of tragedy given in these words because Job is surrounded by his family and God blesses him with a long life. The same can be said for the death of the patriarch Abraham who is said to have “breathed his last and died in good old age, an old man and full of years, and was gathered to his people” (Genesis 25:8). Here there is no sense of death being an evil and unexpected event. In the Old Testament, death is typically only spoken of as being unnatural when it is a violent death. It is not until the death of Jesus Christ on the Cross that the full weight and tragedy of death is revealed to the world. We’ll stop there for today and I’ll feature another excerpt from Fr. Philip’s thesis tomorrow. 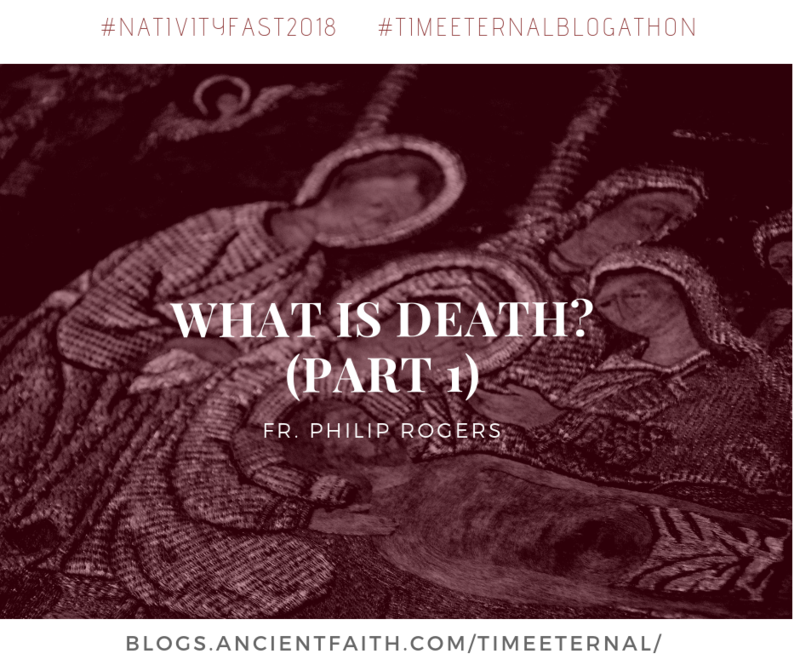 For now, what I find a worthwhile thought to ponder is that Christ’s death did not only reveal salvation to the world, it also communicated the true meaning and grievous magnitude of death. It reminds me of the famous saying that to address a problem, you first have to admit there’s a problem. In dying on the Cross, Christ demonstrated and embodied what death really was so that we could come to understand the great gift of His resurrection.